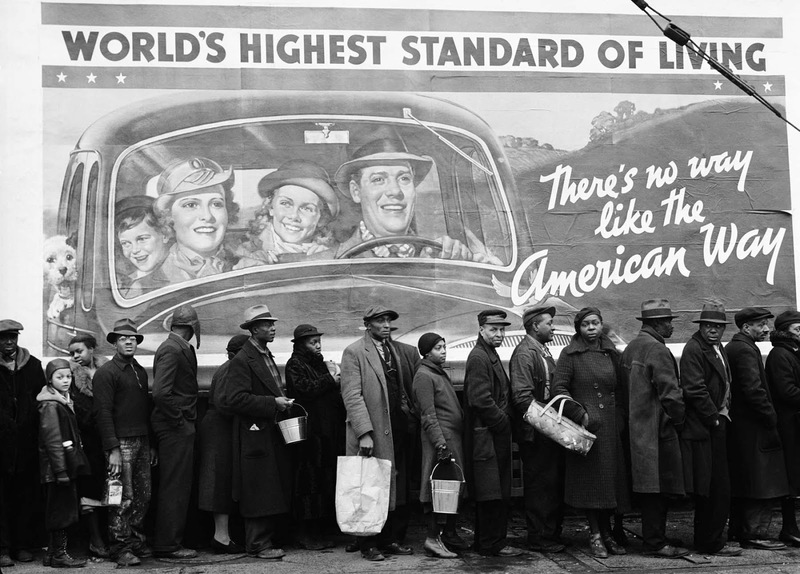 Famous image of African American flood victims lined up to get food and clothing at Red Cross relief station in front of billboard ironically extolling “World’s highest standard of living. There’s no way like the American way”. Original title of the picture: “The Louisville Flood”. In early January 1937, the swollen banks of the Ohio River flooded more than seventy percent of Louisville, Kentucky, and its surrounding areas. With one hour’s notice, photojournalist Margaret Bourke-White caught the next plane to Louisville. She photographed the city from makeshift rafts, recording one of the largest natural disasters in American history which claimed close to 400 lives and left roughly one million people homeless across five states in the winter of that terrible year. One of the most famous pictures she took shows African-American men, women and children lined up outside a flood relief agency. In striking contrast to their grim faces, the billboard for the National Association of Manufacturers above them depicts a smiling white family of four (and their dog) riding in a car under a banner with the ultimately ironic slogan “World’s Highest Standard of Living. There’s no way like the American Way”. Although, the country was dealing with a depression and local lives are even further complicated by being displaced from their homes, the individuals photographed are dressed pretty well. Women have beautiful long pea coats, clean hats; heels and two women are even shown wearing hosiery in great condition. The men are depicted wearing nice long coats, non-wrinkled pants and all of which are wearing hats. The billboard is an archetype that carries some notable social and political implications. 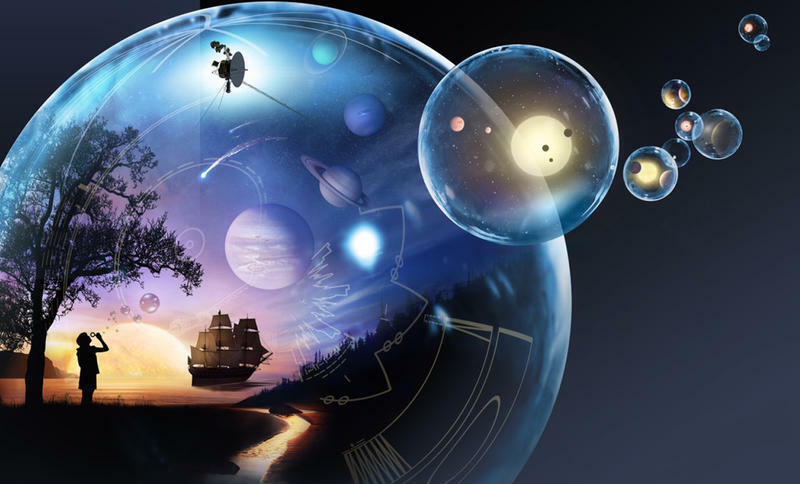 The father-mother-son-daughter (and even pet terrier) unit embodied the American nuclear family, as outlined by countless hegemonic institutions, including magazine publications and advertising agencies. Produced by The National Association of Manufacturers, thousands of billboard scenes, like the one above, aimed at spreading hope across the United States by advocating the American Dream. Bourke-White’s The Louisville Flood remains an iconic image of the Great Depression, embodying an era that began with the stock market crash in 1929 and ended with the onslaughts of World War II in 1941.